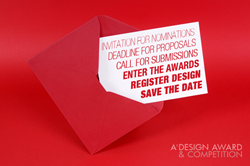 A’ Design Award & Competition is the world’s prime annual juried competition for design. The A’ Design Accolades are organized in a wide range of creative disciplines to highlight the very best designers from all countries in all industries. Entries to the competition are peer-reviewed and anonymously evaluated and judged by an influential jury panel of experienced academics, prominent press members and established professionals. A’ Design Award & Competition provides winners with fame, prestige, publicity and international recognition through the coveted A’ Design Prize which is given to celebrate the awarded projects. The A’ Design Prize includes international design excellence certificate, exclusively designed and 3d printed metal award trophy, invitation to the winners’ ceremony and gala-night in Como Lake, Italy, online + offline exhibition of awarded projects, limited edition luxury hardcover printed best projects’ yearbook publication, project translation to 20+ languages in order to truly reach international audiences, an exclusive interview with the winner, press release preparation and distribution, license to use “A’ Design Award Winner Logo” in your communication, promotion of awarded works to thousands of international publications, media appearances through renowned press partners, inclusion in World Design Rankings as well as access to further marketing and PR tools. The A’ Design Award & Competition has been established to promote and recognize the best design works in all creative disciplines all over the world. The primary aim of the A’ Design Award & Competition is to create a global awareness and understanding for good design practices and principles by highlighting the best design ideas in all countries and in all industrial fields. The ultimate aim of the A’ Design Awards is to push designers, companies and brands worldwide to create superior products and projects that benefit the society and future generations. The A’ Design Award & Competition has a philanthropic goal to advance society by pushing the frontiers of science, design, creativity and technology forward and creating incentives for innovators to come up with better ideas through excellence in design. Therefore, A’ Design Competition aims to create incentives that ignite and reward creativity, original ideas and concept generation in all industrial sectors. Thus, every year multiple projects that focus on innovation, technology, design and creativity are awarded with the A' Design Award and receive a right to use “A’ Design Award Winner” logo which signifies original, functional and efficient designs that help the world become a better place.